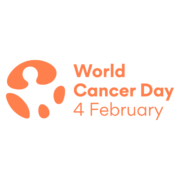 Today marks another World Cancer Day – a day to reflect and focus on the priorities needed to improve outcomes and quality of life for patients. I have been marking nine of these World Cancer Days since I founded Pancreatic Cancer Action and, more than ever, we need to use this day to highlight the issues surrounding the disease. In the past nine years we have sadly seen very little improvement in outcomes for pancreatic cancer patients. 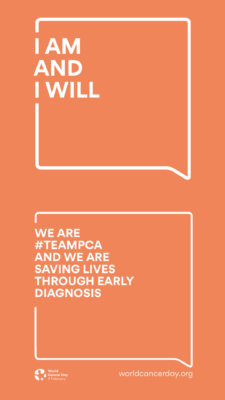 Five-year survival rates are still in single figures (7%) as most patients are continuing to be diagnosed too late. The theme of the 2019 World Cancer Day is “I am and I will” – a theme that will remain for the next three years. It is all about personal commitment, empowering individuals to take action and have impact on the future. Individual action does not need to be anything grand. It could be sharing a blog (like this one), tweeting or reacting to a Facebook post. It could be getting involved with a cancer charity like Pancreatic Cancer Action; either raising awareness, fundraising or both! Although one individual cannot be expected to make huge in-roads into changing outcomes for thousands of patients, it is when we all come together, all doing our ‘bit’ that helps bring change. This applies to organisations too and especially the charity sector. Collaborating and sharing ideas is a way to help us all help one another. A collective voice is always a stronger voice and it is only when we shout together, do we get heard. We are pleased to be able to do this today by joining together with charity representatives from across the UK in Wales with the Gloves on Campaign, showing that together, we can make a difference. So, whether you are an individual, an organisation or charity, your action can and will help us positively change outcomes for pancreatic cancer patients this World Cancer Day and beyond.